Shown above is the book without the jacket. Since 1924, when its landmark building opened on the National Mall in Washington, the National Academy of Sciences has exhibited work at the intersection of art and science. 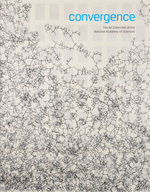 Convergence: The Art Collection of the National Academy of Sciences is the first publication to present the Academy’s historic and prescient holdings. No other force has had greater impact on contemporary culture than advancements in science and technology, providing rich terrain for artists to explore and investigate. The Academy’s growing collection encompasses painting, prints, sculpture, photography, and architecture (in the form of its newly restored historic building). A significant selection of that collection is presented for the first time in Convergence, which includes essays by such art and science thought-leaders as E.O. 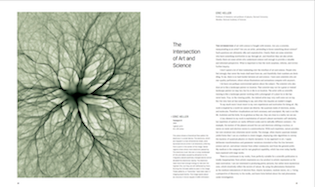 Wilson, Roald Hoffmann, Anne Collins Goodyear, Andrew Solomon, and Lucy Lippard, which help to connect the dots between these emerging and increasingly influential intersections of culture and science. 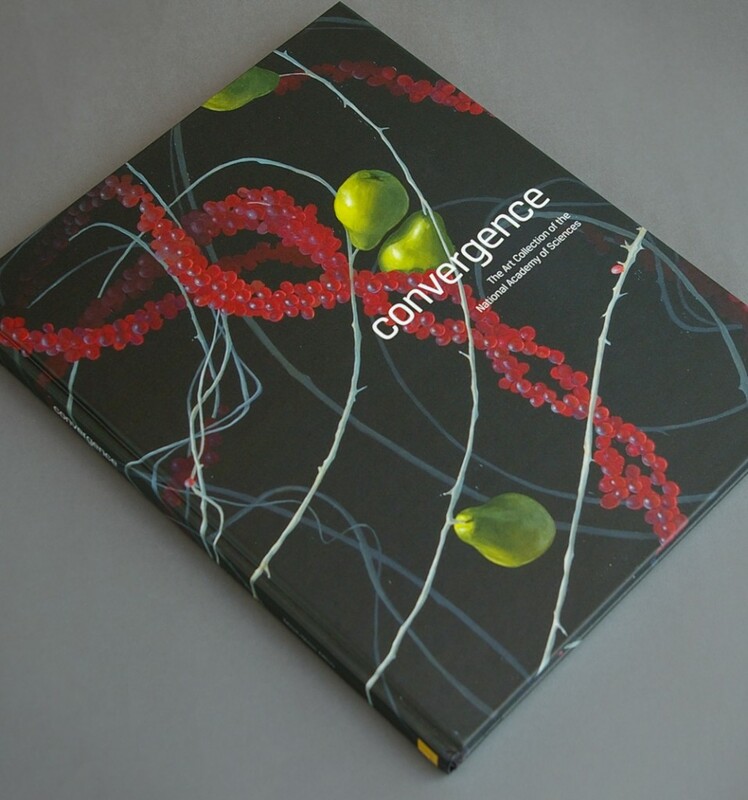 Limited edition printed catalogue of the NAS art collection, Convergence, can be purchased on line. The CPNAS has made the entire book available online free of charge.